Seoul, the South-Korean capital, is surrounded by mountains. The Seoul Trail (Dulegil, 서울 둘레길) is a 157 kilometres trail encircling completely the city of Seoul. It consists in eight sections that were connected in November 2014. Care has been taken to make all departures and arrivals, for each section, accessible by public transportation. 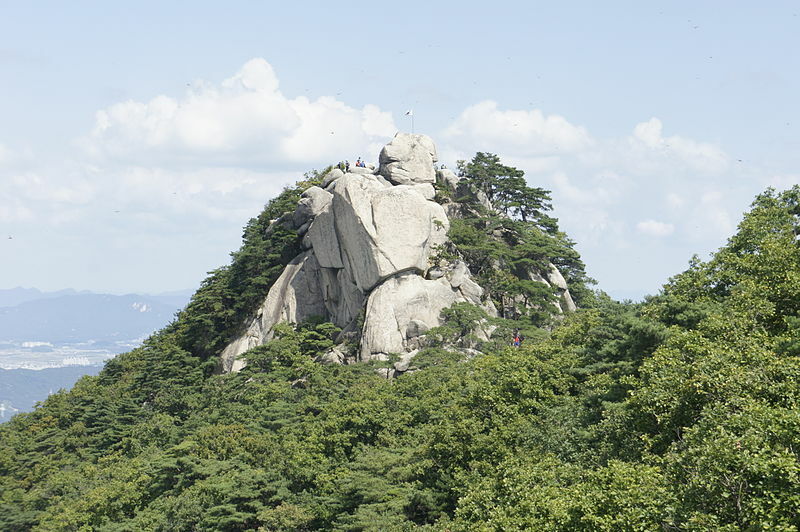 Mountaineers will be interested mostly in the first section, Suraksan-Buramsan that leads to the summits of the two highest peaks of the Seoul area, Buramsan (508 m above sea level) and Suraksan (638 m above sea level). 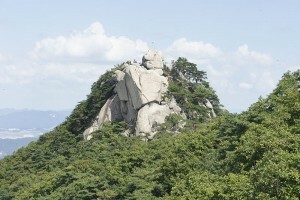 The total length of the hike is 18.6 km taking about 6.30 hours to be completed. 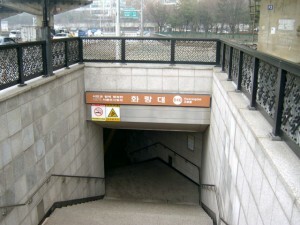 This course, starts at Dobongsan Metro Station (lines 1 and 7) and ends at Hwarangdae Metro Station (line 6). In the springtime, the ridge between Suraksan and Buramsan is popular among hikers, with its royal azalea blossoms. 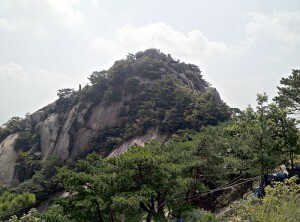 Seven interesting temples are situated on the slopes of Buramsan, and can be visited. There are also two important bouldering sites, Monrail and Iceberg, with many climbing routes.